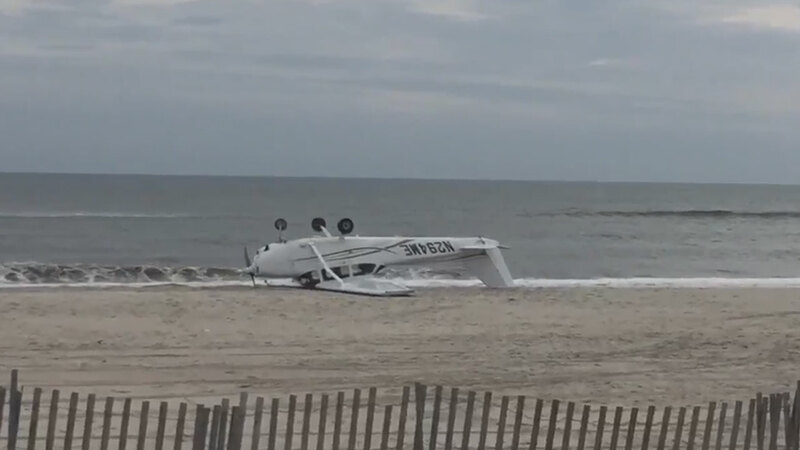 BABYLON, Long Island -- On Long Island, a small plane with two teenage flight school students on board made an emergency landing, but flipped over in the process. It happened around 10 a.m. at Robert Moses State Park in Babylon, Suffolk County on Monday. Two 16-year-old flight school students and a pilot were aboard the plane at the time of the botched landing. The plane apparently had mechanical problems, causing the pilot to make the emergency landing. Everyone on the plane is said to have non-life threatening injuries.